I really thought I’d have been over it by now, but I’m not. Last year’s Lehigh football team, who went 10-1, was denied an at-large spot to the FCS playoffs, becoming the first school with 10 Division I wins to be denied the honor since the playoff field expanded from 16 teams. The most common complaint from some Lehigh fans and many other FCS fans was that Lehigh’s “schedule strength” in 2012 simply was not cutting it when comparing them to other at-large candidates like New Hampshire, Wofford, or Illinois State. Is it true that Lehigh scheduled themselves out of a playoff game last season – and will this season’s Lehigh schedule make it any easier to qualify as an at-large team should the Mountain Hawks be in that position again? 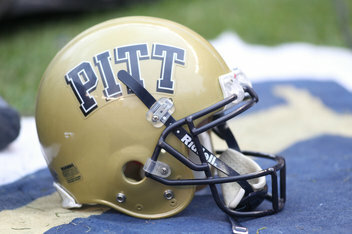 Could Nova/Pitt Hand Lehigh a 12th Game? Do I seem obsessed with the idea of Lehigh having a 12th game in 2013? Yes, I believe I am. While my initial thoughts on a 12th game for Lehigh involved a lot of expense – for example, a possible trip to Bozeman, Montana to take on last year’s Big Sky co-champions Montana State – it so happens that there’s another possible 12th Mountain Hawk game that could come about that is not only a whole lot less expensive, but also would give Lehigh an extra home game. The forces at work would not be from the FCS world but the FBS world. More accurately, a game versus Pitt and Villanova. With Lehigh’s season being over, thoughts have started to come towards the Mountain Hawks’ 2013 football schedule, as people start to wonder if the shots from across the nation about having a “soft schedule” might have any traction again next season. The answer is that Lehigh will be playing ten of the eleven teams they played last season – with one crucial exception. A road game at Liberty will be replaced with a home game against a team that arguably was the team that kept Lehigh out of the field, New Hampshire.